Many enthusiasts want to keep their car or truck dash as original as possible. Converting the transmission to a T5 and keeping their cable driven speedometer means they need to use a cable style T5 tail stock. The Camaro tail stock usually has a cable connection but the shifter position is too far back for a bench seat. That's why the S10 tail stock with a cable connection is very popular. It puts the T5 shifter in front of the bench seat and allows the vehicle to keep the cable speedo connection. 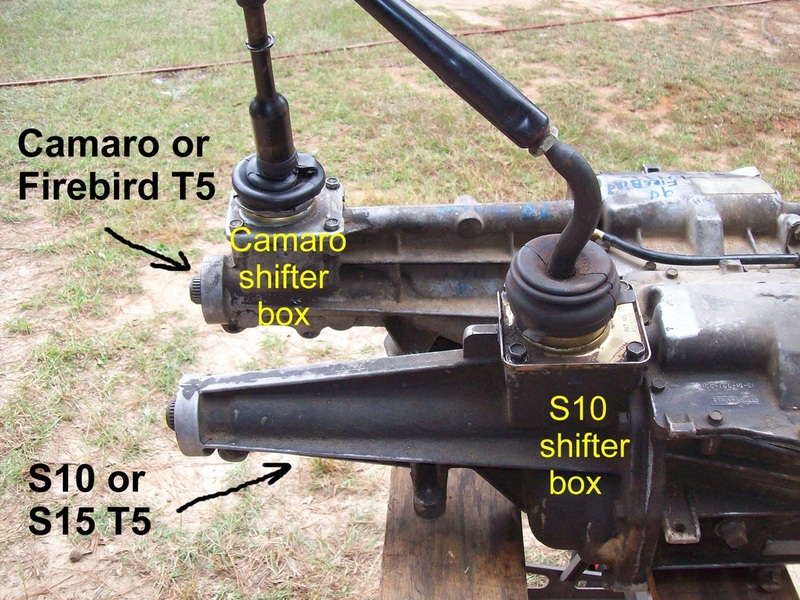 The S10, S15, and Sonoma trucks from 1988 and earlier usually have a T5 with a cable speedo connection, but they are becoming very hard to find. 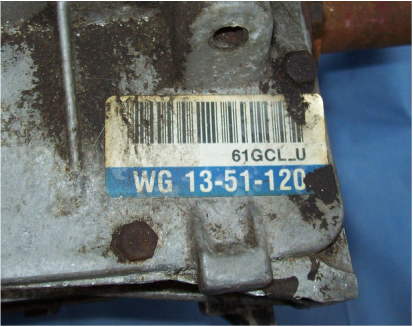 Keep in mind that some S10, S15 and Sonoma trucks were equipped with a Borg Warner 4 speed transmission called a T4. 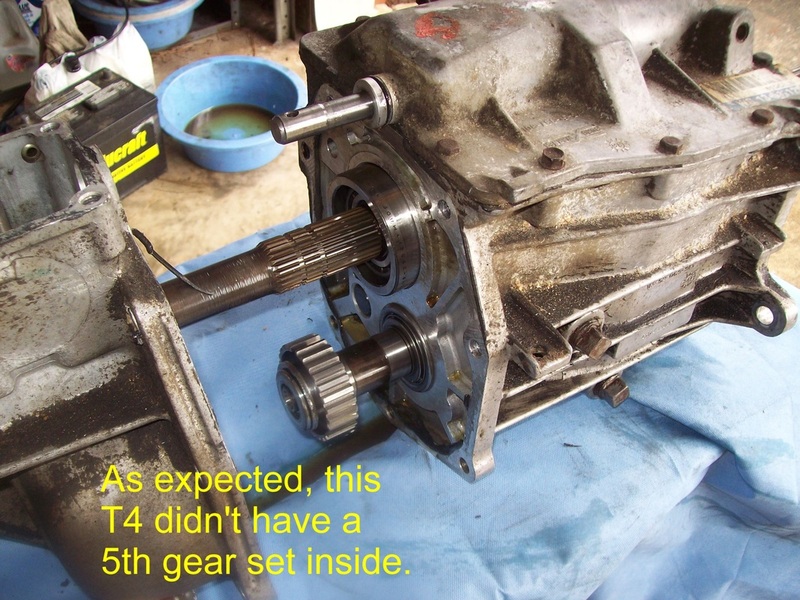 The T4 doesn't have a 5th gear but it was sometimes built inside of a T5 case. So it looks like a T5 on the outside but has T4 guts. Here are pics of a T4 I bought. 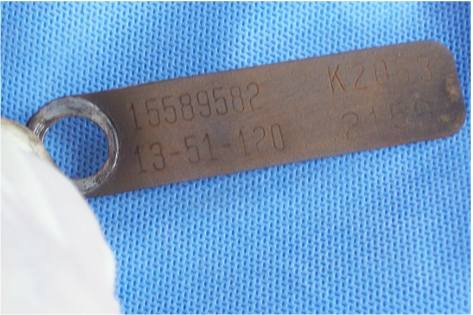 The case and tail stock are all T5 and the casting marks are all 1986. 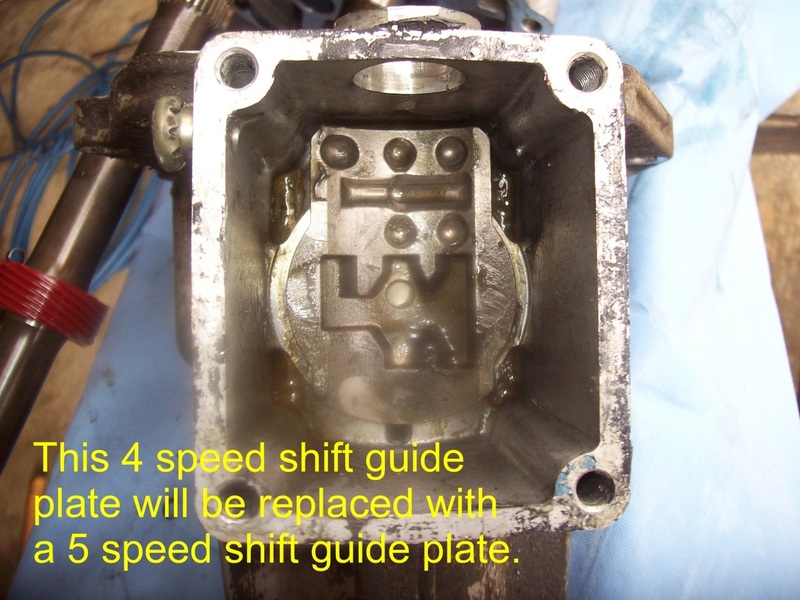 The shifter guide plate has a 4 speed pattern but it can be replaced with a 5 speed pattern plate. 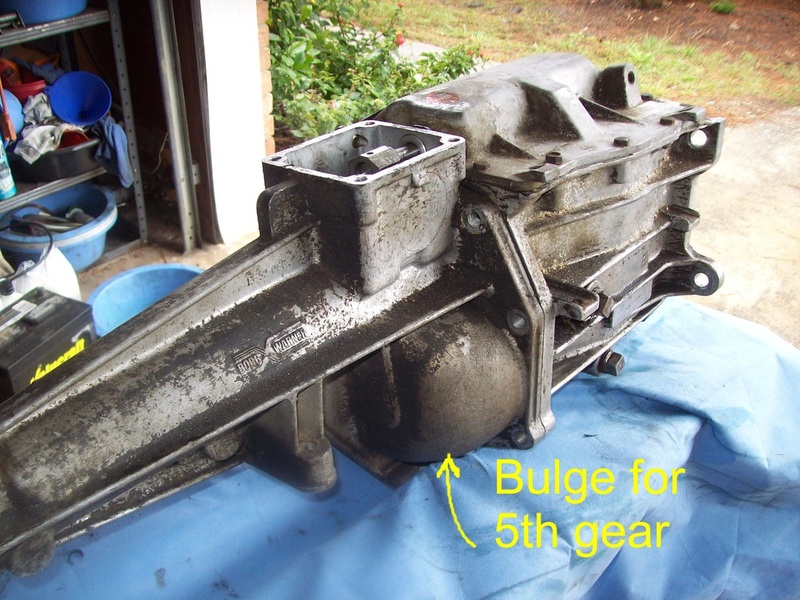 The tail stock has the typical bulge for 5th gear even though this T4 didn't have a 5th gear. 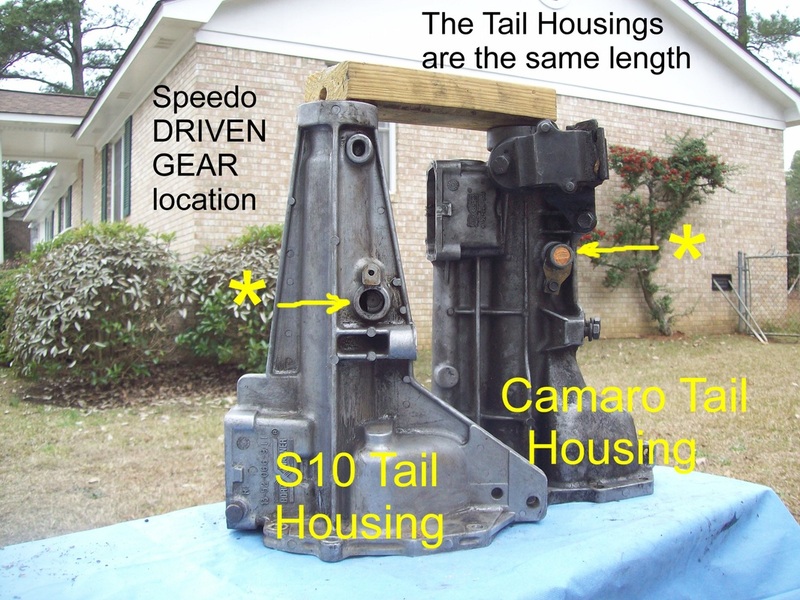 So if you are on the hunt for an S10 T5 tail stock with a cable speedo connection, don't ignore the trucks with a 4 speed. 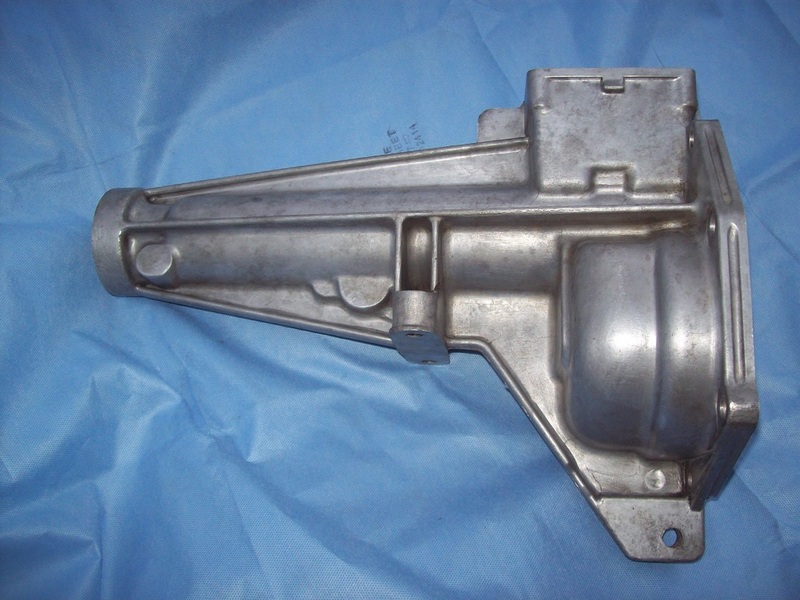 You just might find the tail stock you need is actually part of a T4 transmission. 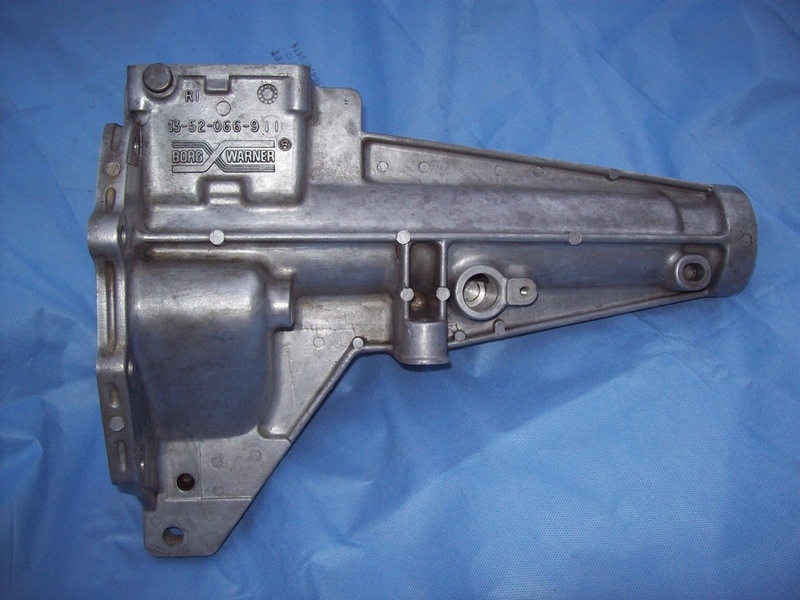 T4 transmission with TAG 13-51-120 and casting marks from 1986.